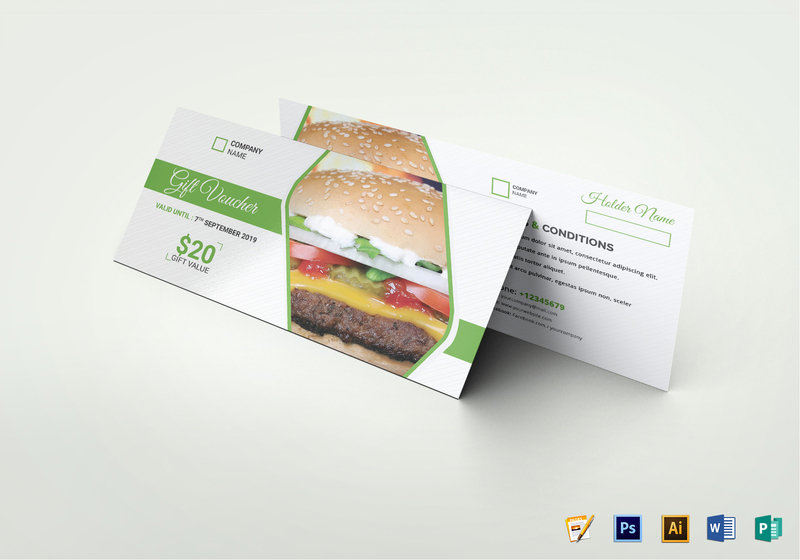 Avoid the hassle of making your own restaurant voucher and get this restaurant food gift voucher template at the cheapest price possible. Designed by experts, this voucher is hand crafted by our team of graphic designers, keeping you and your purpose in mind. And also, if you want to add some changes, don’t worry, this template is easy to customize in applications such as Pages, Photoshop, Illustrator, MS Word, and Publisher.